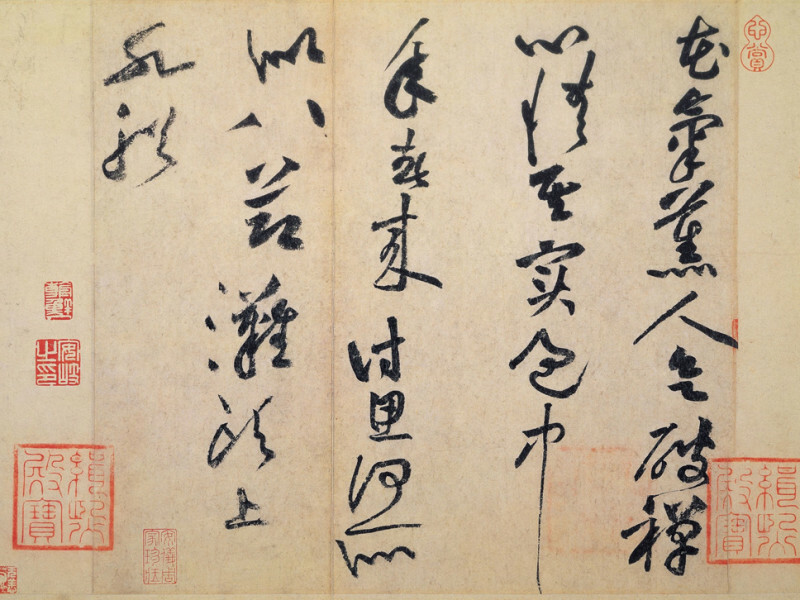 Huang Tingjian (黃庭堅, 1045–1105) is predominantly known as a calligrapher but was also admired for his painting and poetry. 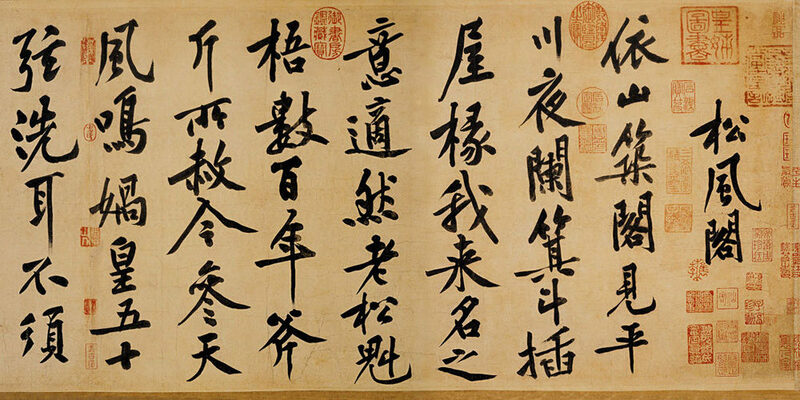 He was one of the top four calligraphy masters of the Song dynasty. Huang was a student of Su Shi (蘇軾) at his school of literati painting. 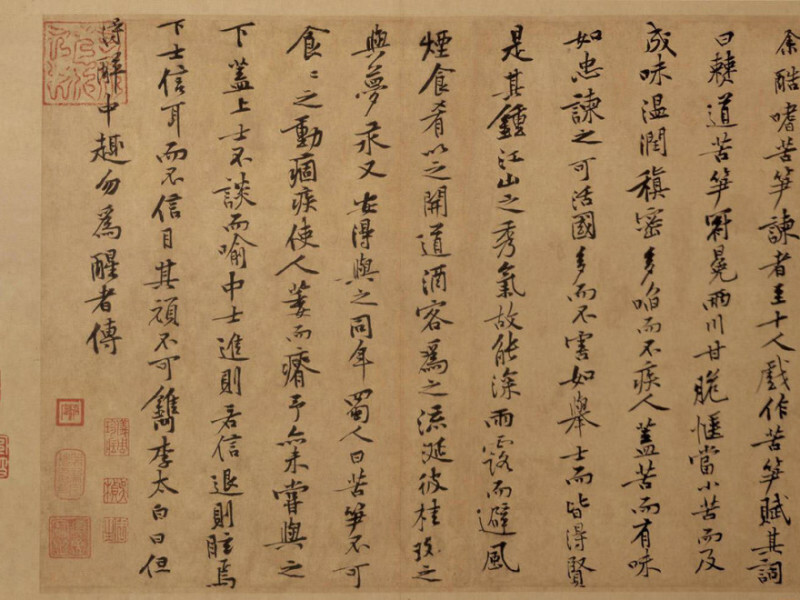 Born into a family of poets, Huang Tingjian was educated in the Confucian classics, history, and literature, and he received the jinshi (“presented scholar”) degree in 1067. He passed the qualifying examination in 1072 and became an instructor at the Imperial Academy. He was later appointed magistrate in various counties before being assigned in 1085 to participate in the compilation of the annals of the reign of the Song emperor Shenzong. In 1095, however, having been accused of inaccuracy and calumny in the compilation, Huang Tingjian was demoted; he subsequently lived in exile for some 20 years. Huang Tingjian and Su Shi are frequently mentioned together as Su-Huang. Huang Tingjian was a more scholarly and introverted person than Su Dongpo, and his approach to creativity was more mystical. 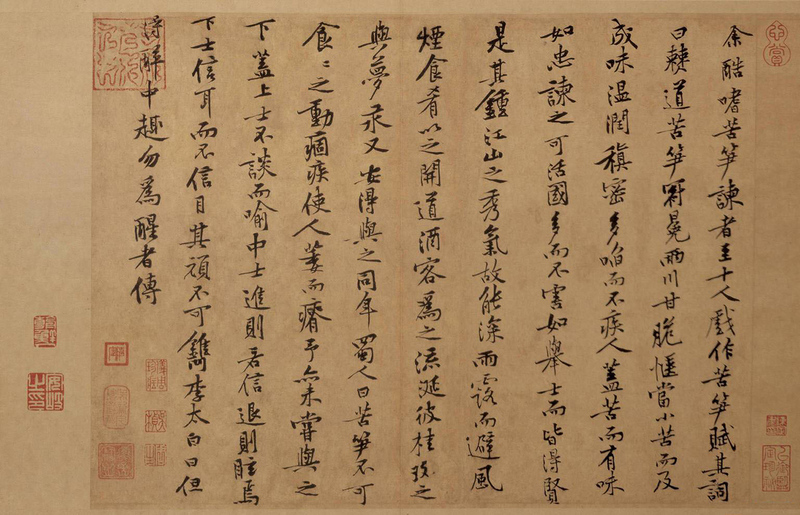 His wild cursive script was derived from the 8th-century Tang-dynasty priest Huaisu (懷素). Huang Tingjian’s unconventional approach to poetry was influential; rather than adopting the flowery, clever, and extravagant style typical of the late Tang and early Song period, Huang Tingjian advocated an introspective, carefully constructed poetry that rejected established patterns. His influence was felt into the 20th century.